"Suky" is now on 180 countries! Legendary Cuban musician, Tomas Diaz, and his dynamic ensemble are conquering the world with “Suky”. Its contagious rhythm captures the essence of the Zumba spirit while introducing an original choreography personified by a group of beautiful dancers and a series of renowned cameos by renowned entertainment industry personalities. “Suky”, an international success, is a true hybrid and fusion of genres that represents and brings together the musical influences collected during Tomas Diaz’ career. 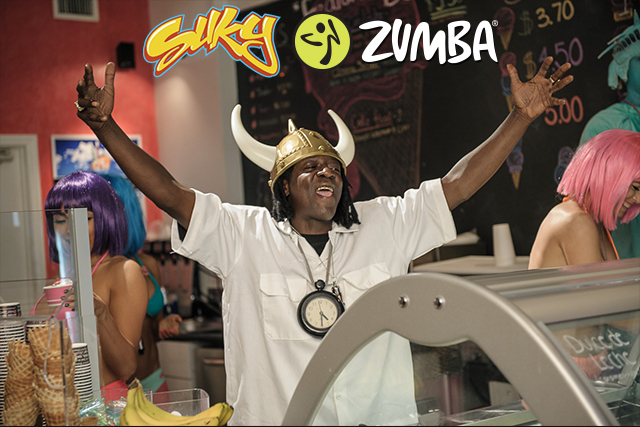 Be part of the Zumba spirit with “Suky” at a participating location near you.